Sir Richard Attenborough, who gave us the greatest biopic on Gandhi that ever existed, passed away at the age of 90 on August 24. On the film's 30th anniversary in 2012, seven key members from its cast and crew had recounted their magical days on the Gandhi sets. We reproduce the special feature here. 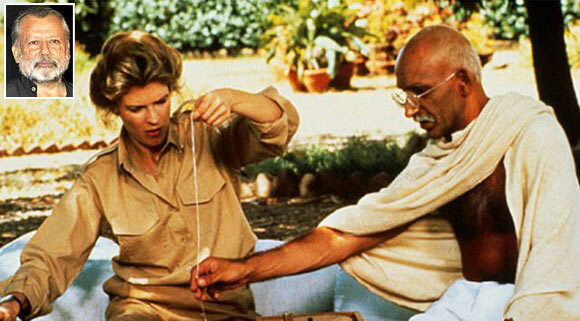 Richard Attenborough's award-winning film Gandhi turned 30 on November 30, 2012. Starring Ben Kingsley in perhaps his best role, the film featured some of India's most talented actors, many of them starting out their careers. The film released to much acclaim on November 30, 1982. Some of the key actors went back in time with Patcy N, Sonil Dedhia and Nishi Tiwari. How I got the role is a very interesting story. (Casting director) Dolly Thakore knew me as I was working in Marathi theatre. She told me that Richard Attenborough was coming to town, and was looking to cast Kasturba's role. She asked me to go meet him. I did, and got selected for the screen test. I was asked to lose weight, as I was to play Kasturba from the ages of 27 to 74. I had to lose eight kilos in a month. I consulted a doctor and did that. After that, I went for a screen test to London. I was not sure I would be selected, as there were three pairs of actors in the running -- Bhakti Barve and John Hurt, Smita Patil and Naseeruddin Shah and Ben Kingsley and me. After I returned to Mumbai, I thanked Dolly, as she had worked really hard to get me to London. In those days, I did not have a passport. She got me a temporary passport within seven days. In fact, she came along with me to the passport office to get the work done. Working with Sir Richard was a different experience. We were supposed to do our homework. We joined the unit in Delhi about 15, 20 days before the shoot started. We got the script when we reached so that we could study it. I took elocution lessons as I came from a vernacular school in Pune. I did not know much English. They did not want me to speak English in a British accent but they didn't want me to have a Marathi accent either. Apart from that, if I had difficulties, I would discuss them with Sir Richard. Like in one scene, a man from Champaran comes to meet Gandhiji. In that scene, Gandhiji is having lunch outside and I am in the kitchen. So I told him if he is eating, the best thing to do would be making rotis. He gave us a free hand, but we had to discuss with him first. Sir Richard knew Gandhiji's life thoroughly. If there was any confusion in dates or events, he would give the reply immediately. All of us went through different trainings. Just like I needed elocution lessons, Ben Kingsley had to take on yoga classes. He had had a hip injury in his childhood because of which he could not sit on the floor with his legs folded. But since Gandhiji used to sit on the floor, he had to practice it. Plus, we both had to learn how to spin the charka. We would practice for two hours every day. Mr and Mrs Handa would teach us. By the end of the film, I had spun a lot of thread. It was Christmas. I asked Mrs Handa what I should do with the thread. She asked me to give 10 bundles of thread to the Khadi Gram Udyog and in return, get a handkerchief. So I did, and I gave the handkerchief to Sir Richard as my Christmas gift. We shot for five months -- we started on November 22, 1980, and finished in May 1981. We shot in Delhi, Mumbai, Pune, Patna and Rajasthan. The most difficult scenes were the old age scenes because the aging was a gradual process. A jump is always easy, but the gradual process is difficult. When I played the role of a 74 year old, I was just 27. It was difficult, as the camera picks up your flaws very easily. Gandhi was just my third film. I liked the role and never once thought that I would be typecast in motherly figures in the movies. Immediately after Gandhi, I did Arth where I played my age. But Arth released after Saraansh where, again, I had played an old woman. 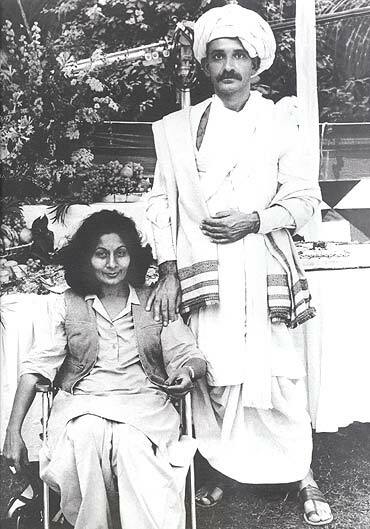 Nirupaji (Roy) had just started lessening her work and I stepped in as mother at a very young age. In my first commercial film Haisiyat (1984), I played mother to Jeetendra (who is eight years older than her in real life). I met Richard Attenborough for the first time at a cocktail party. I got a call from him the next morning. He asked if I wanted to play Jinnah in his new film. When I asked if he wanted me to do a screen test for the role, he said he was quite sure the moment he met me that I would be just the right choice for the role. He also said he knew instantly that I was born to command. I didn't know whether I should be flattered or insulted. I was then asked to fly to London to get six suits stitched. After all, Jinnah was one of the best dressed men during the British regime in India. I started preparing for the role by studying everything about him. As I went along, I found that he was a man of tremendous intelligence and was a great orator. Before he came to India, he was working as a barrister in London. He was also the president of the Indian National Congress in 1916, much before Gandhi's arrival. The shooting went on smoothly. The only problem I faced was involving a monocle. I had to wear a monocle which is very difficult to hold in the eye. There was a British actor on the set who taught me how to do it. It took a bit of practice. Otherwise, the entire experience was just wonderful. It was great to be working along side actors like Saeed Jaffrey and Roshan Seth. Ben Kingsley was a quiet man, but extremely polite. When Sir Richard Attenborough came to NSD (the National School of Drama), he saw a couple of our plays and I was chosen to play the part of Pyarelal, Gandhi's secretary. Later, they were looking for someone to dub Gandhi's voice for the Hindi version. Many auditions were held. I was also asked to give an audition, and I got selected. It was a wonderful experience working with Sir Richard even though I did not do much with him -- he was busy directing the other actors. But I got a chance to interact with him during the dubbing. He was very kind. He offered to help me out because I was asked to leave the National Repertory Company -- of which I was a part at the time -- because of the film. Initially, they had given me permission to shoot for the film. But later, they told me I couldn't work in the film and was asked to leave. Richard Attenborough was quite upset about that. What I loved about him was that he gave his actors a lot of time and space. His brief to the actors was wonderful. He was gentle and kind to his actors, but at the same time, he would mould them towards the parts they were playing. I hardly had a part. I was just following Gandhiji, but did not have to perform. I was just a presence, a character filling the frame. I did not have any dialogue. But it gave me opportunity to watch great actors perform and learn from them. 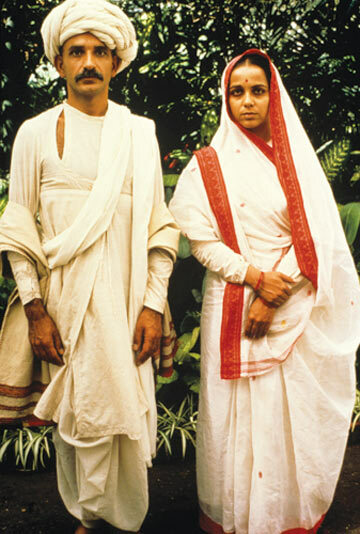 I had a miniscule role in Gandhi. I barely had any screen time. Gandhi was my first taste of cinema, my debut film. I was in my final year at NSD (the National School of Drama) in 1979, when one of our professors recommended my name to (casting director) Dolly Thakore. Dolly was very particular about the cast, and wanted the right people for the right roles. I auditioned for the role after which I was told that I would meet Richard Attenbrough. I was elated. I couldn't believe my first film was a Hollywood project. After a couple of days, I was called to meet him at the Ashoka Hotel in New Delhi. It was a very brief meeting, just five minutes. But those five minutes changed my entire life. The film did not make me an overnight star, but it gave me an impetus to follow my dreams. I started acting from the time I was in the ninth grade (in 1974). I am probably the oldest surviving television actor. I did a lot of one act plays on Doordarshan. I used to get paid Rs 60 a day for those plays. 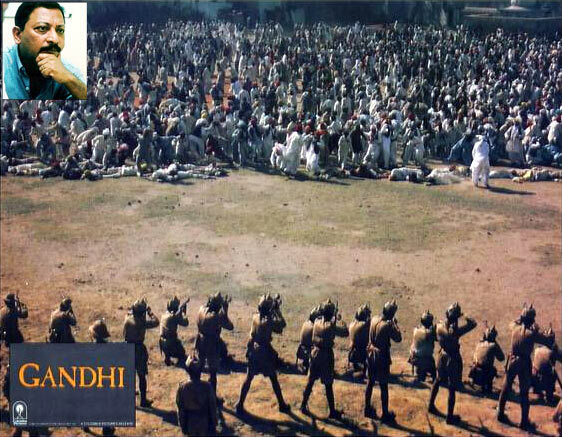 I shot for Gandhi for three days and got paid Rs 20,000, which was a huge amount in 1981. The money helped me settle down in Mumbai and pursue acting. Besides making my debut, there were a lot of other firsts in my life with that film. I had never sat in an airplane. It was because of Gandhi that I took my maiden flight from Delhi to Mumbai. It was the first time that I stayed at a five star hotel -- I was put up at Hotel Sea Rock. I got to experience shooting with international technicians. I couldn't have asked for a better start to my career. It was the first film for which I did the casting. Richard Attenborough was a friend of a friend of mine from London, and they walked into my house in May or April 1979. The best part about the casting process was that he allowed me to travel to Delhi, Chennai, Kolkata, Bhopal, all over India, where there were strong theatre centres so that I could meet the right people and see their work. The main criterion was that the actors must have a theatre background. Susie Figgis cast the foreign actors. There was also a casting director for the crowds, and another for actors with one-line dialogues. There were 438 Indian speaking parts in the films. I didn't realise the kind of organisation that goes into casting. 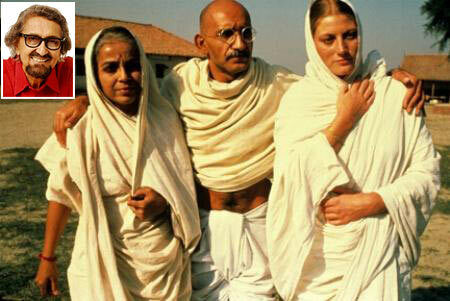 Ben Kingsley put in lot of hard work to become Gandhi. We had to empty out his entire room at the Ashoka hotel in Delhi where we stayed for six months. He learnt to sit cross-legged on the floor, the way Gandhi used to sit. He would sleep on the floor. He had his walls plastered with pictures of Gandhi in his various moods so that he could see, imitate and live Gandhi. We booked a whole wing of the hotel and converted some rooms into offices. I moved in on November 25 with my son Quasar, who was two-and-a -half years old. We had three alternatives for Kasturba -- Bhakti Barve, Smita Patil and Rohini Hattangady. But he said she had to lose weight. If she managed that, he asked me to send her to London for the screen test. I was already sending Bhakti Barve and Smita Patil. Smita was very keen on playing the part, but we knew she would never get it. I knew Richard was keen on Rohini. I took Rohini to a dietician and would go with her every day. Right through the shooting, I would nag her about her eating. She was very good -- she did not indulge in food at that time and she was magical on screen. 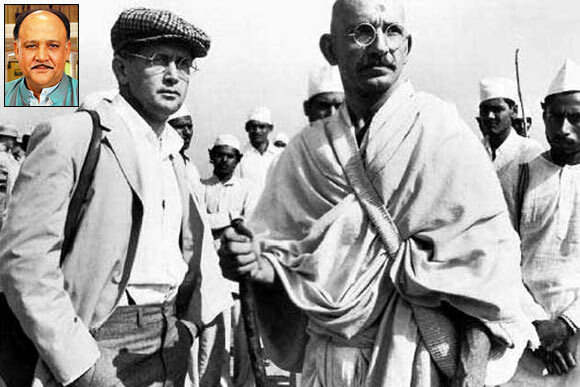 Ben Kingsley's Gandhi make-up took three-and-a-half hours. On the first day on the sets, all the villagers came and touched his feet. One day, he was drinking a glass of beer. But he had to abandon that because how can Gandhi drink? People took all that very seriously. I got to be on Gandhi because I was assisting (cinematographer) Govind Nihalani then on his first film Aakrosh. Richard Attenborough had signed Govind to be the Second Unit Director and I was a part of the package. It was a totally unimaginable experience to work with Richard Attenborough. The budget for Aakrosh had been Rs 350,000 and here, we were working on a film that was approximately Rs 30 crores (Rs 300 million)! With that kind of money comes in a lot of professionalism. They can go to any level to get a perfect shot. For instance, I remember the introduction shot of Gandhi in South Africa. It was an aerial photography shot of the train entering the platform to finally, the close-up of Gandhi. This was not shot in South Africa. It was shot on a railway line between Udaipur and Jodhpur. The shot had to be canned in the twilight, and there was just a 15-minute window when the sky would be bright. We would start preparing for the shot from afternoon. By 6:10 pm, we would be ready. The problem was that there was a highway by the side of the railway line, so the road traffic had to be stopped from 4 pm onwards, every day. There was a lot of coordination required between people on the ground, on the train and in the helicopter. The first two days we did not get a single good shot because of the vibration due to the chopper. Plus, it would be windy too. It took us a week to get that one shot. Can you imagine anybody waiting that long just to get that shot right? I don't even know the cost of that single shot. The shooting for the Jallianwala Bagh sequence took a week even though it lasted just three minutes on screen. Ben Kingsley was a thorough gentleman. He was extremely polite with no tantrums. None of the actors on the sets had their personal spot boys or make-up men. There was no vanity van for any star -- there were vans for make-up. There was a common toilet for everyone. Food was buffet-style, and everybody -- from the stars to the spot boys -- had to stand in queue during meals. For Aakrosh, I was paid Rs 5,000 for the full film. 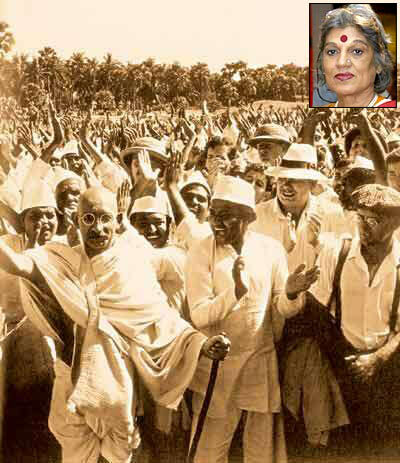 For Gandhi, I was paid Rs 50,000 for four-and-a-half months. Sir Richard Attenborough gave me the opportunity to be one of the costume designers for the film. He interviewed me and within minutes, informed his office that he had found a designer. For me, to design costumes for the film was an experience in itself. Sir Richard wanted someone who could understand Indian culture since it is very complex. We covered a huge span of 50 years of Gandhi's life in the film and to do that was a tough task for me, but being a part of showing his life to the world was a high for me. I have been studying Mahatma Gandhi since I was a child, so I was familiar with the subject. I had to do a lot of studying of the people of different regions and characters and their costumes. We were looking at 50 years of Gandhiji's life and there were so many major events that we were showcasing in the film. My biggest challenge was that I had to design the costumes of the entire cast single-handed. I had to compete with an international crew and match their standards. I recall a scene where we had to show that Gandhiji was fasting for many days and his throat had been parched due to it. Ben Kingsley went into a zone where he wanted his throat to look parched. He actually started fasting to get the scene right. The film demanded a lot of participation from the entire cast and crew to make it believable and do justice to the film. Does the West get India right?